The Cohen Brothers (Joel and Ethan), make quirky films. Brilliant, audacious, belly laughing, tender, dark, elegant, quirky films. 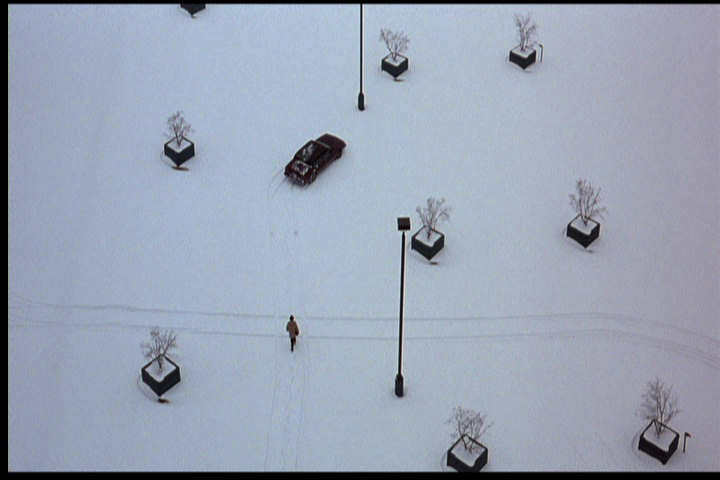 The balance between comedy and drama sustained in Fargo (1996) is masterful. The film concerns an absolute train wreck of a crime conceived by William H. Macy, who wants his wife kidnapped for a share of the ransom money. With his share, Macy will pay off some other debts. What could be simpler? What could possibly go wrong? As you anticipate, everything goes wrong because it can't possibly go right. Not with inept criminals Steve Buscemi and Peter Stormare. As we, the audience, try to figure out if we're supposed to laugh, the mistakes mount along with the body count. 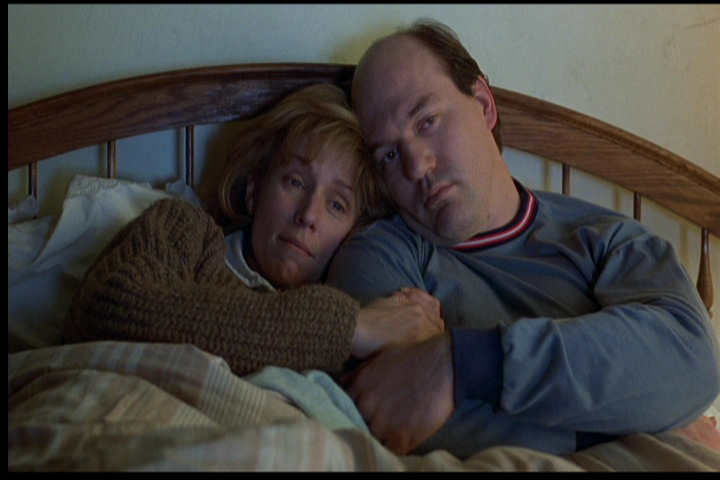 Into this mess walks the pregnant Frances McDormand, in a picture postcard perfect performance. She's the polite bulldog, a kind hearted country girl with the mindset of a New York cop. It's like combining Die Hard with A Prarie Home Companion. 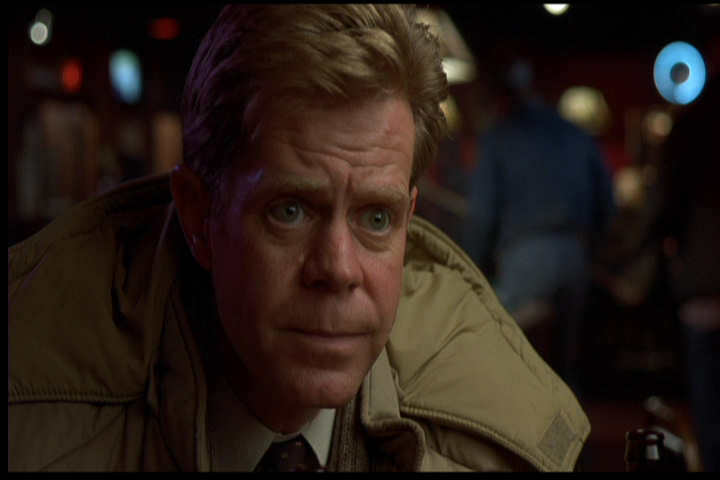 William H. Macy can do anything, as an actor. Here he combines his gift for edgy comedy and pathos. He completely embodies the calamity to which he gives birth. 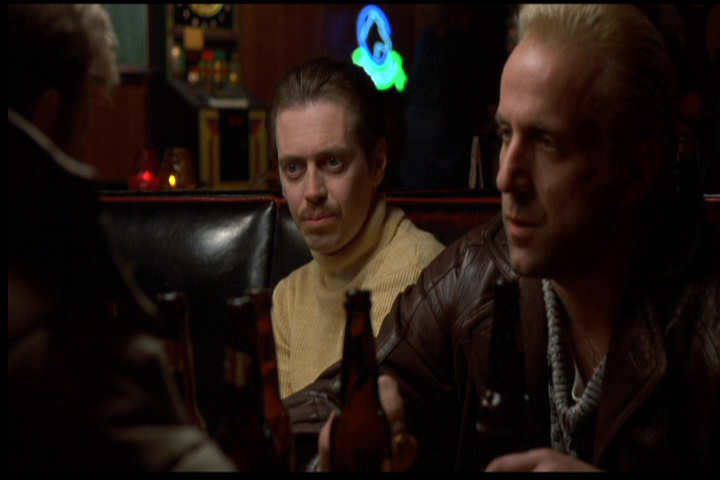 Steve Buscemi and Peter Stormare. Buscemi is great fun, but also somewhat scary. Stormare gets under your skin without you knowing why..until you see the knife he's been using to flay you. In many ways, this movie is truly in the style of Hitchcock. I know that gets said about many films, but I'll stand by my statement. Take, for instance, this wonderful shot. It could easily have come from North by Northwest. 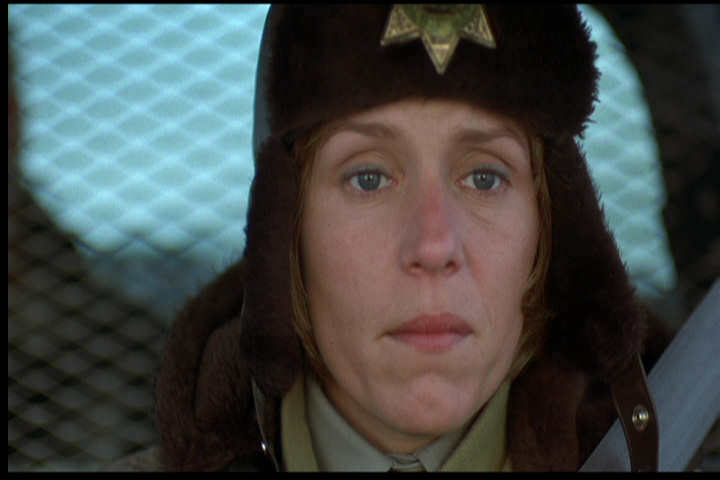 Frances McDormand, in one of many scenes where she delivers. Some actors only show you the white crests. She gives you the ocean, too.